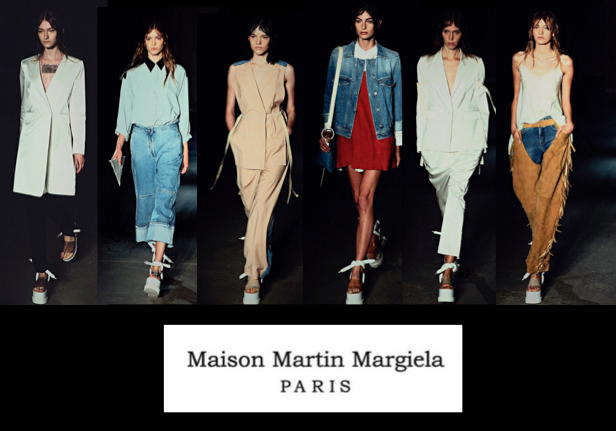 I have three words to describe the best of NYFW… Maison Martin Margiela. Margiela's New York show in my opinion was by far the best collection shown at NYFW. Cowboy style icons, denim, suede, silky layering and platforms can sum up what the new collection holds and I just love it. When hearing of the two contrasting themes in the collection, I thought no no no, how is that going to work, however how I was proven wrong on sight, I can only applaud Margiela.